EuroCham Advertising 2009 - Advertisement opportunities for Calendar, Membership Directory, Discount Handbook and more! 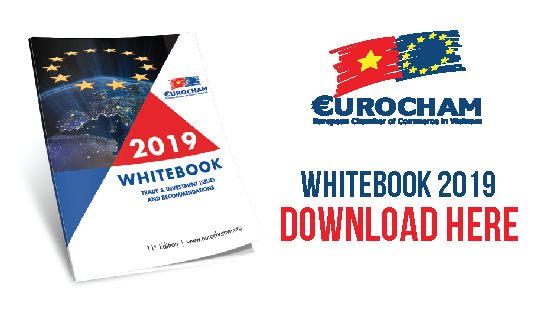 Dear EuroCham Members, With the New Year fast approaching, now is the ideal time to consider EuroCham to help market your company’s brand, products and services in 2009. Special promotion of Sheraton Hotels in Hanoi & Hochiminh City from 21st November 2008 to 8th February 2009. On 8 September 2008, the Government issued Decree 100/ND-CP providing detailed guidance for articles of the PIT law (i.e. the Law 04/2007/QH12). The decree will be effective from 1 January 2009. DHL special promotion - 50 percent off for all EuroCham members!